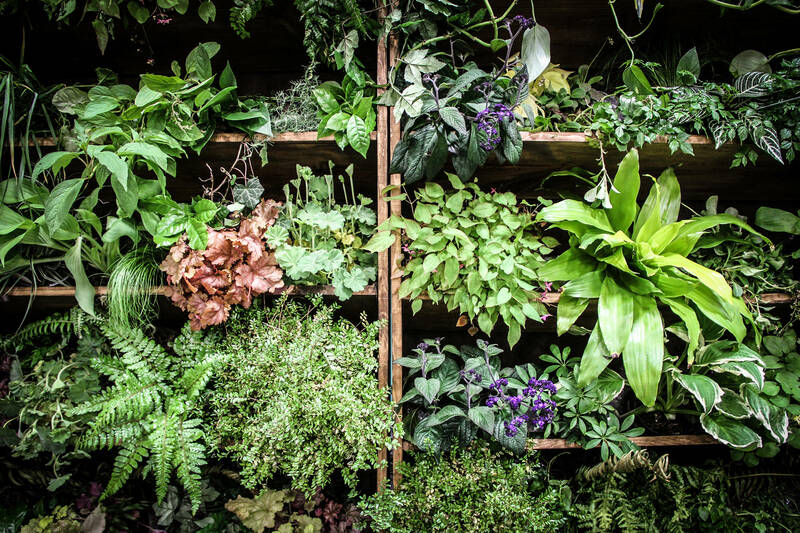 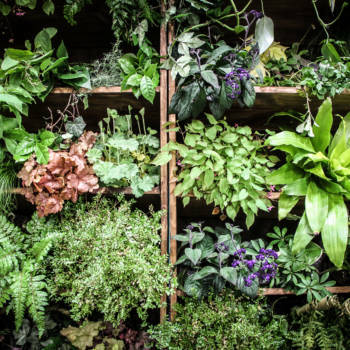 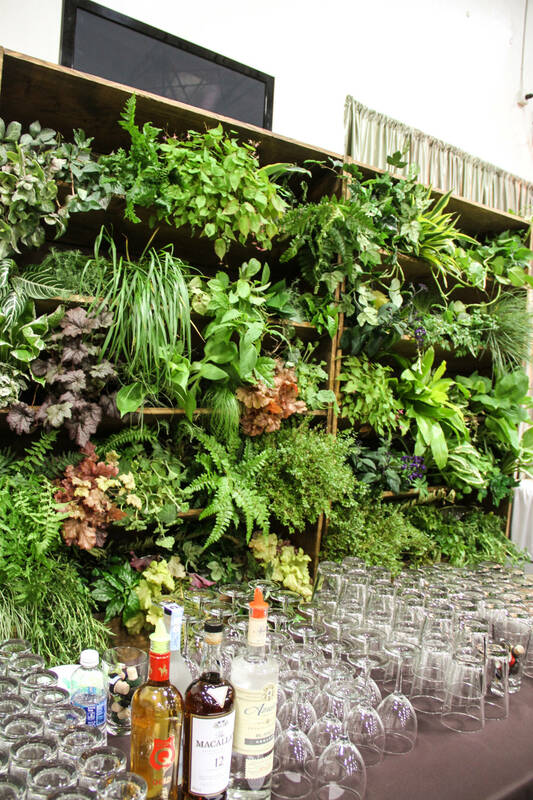 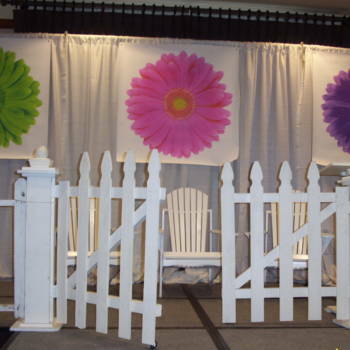 The Garden Party theme is just what your spring party needs. 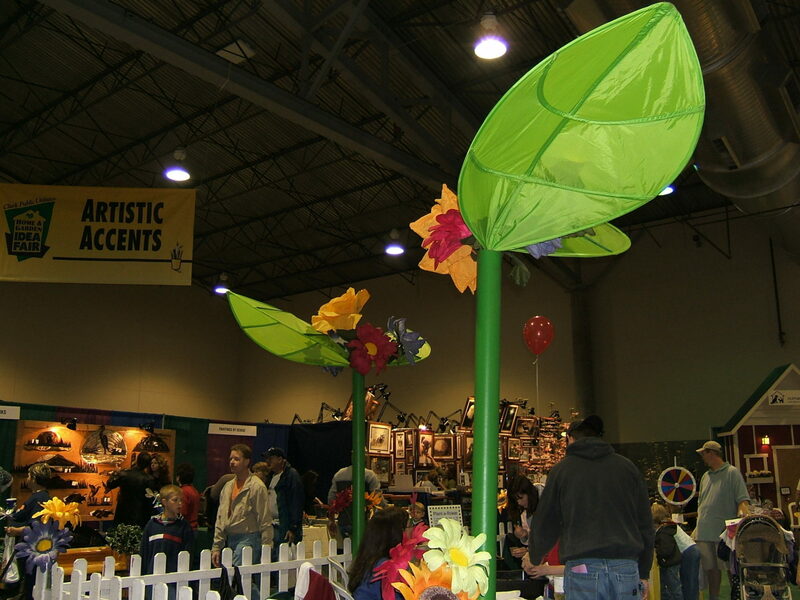 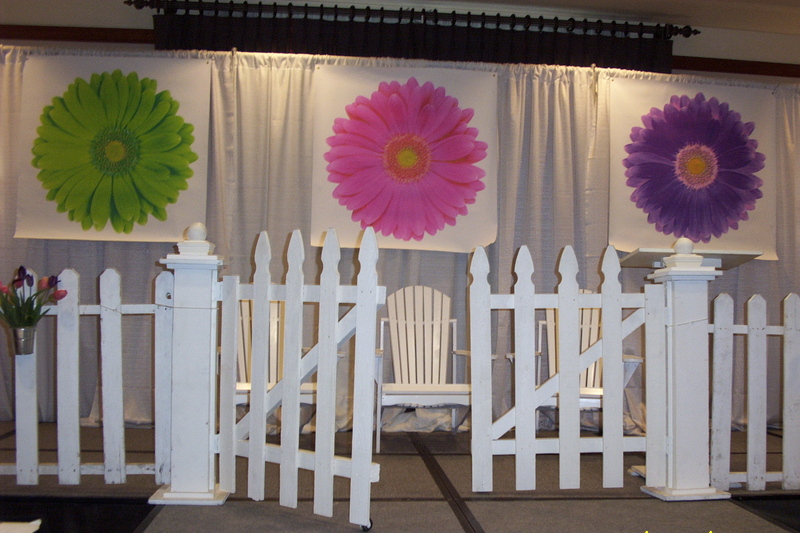 Let Peter Corvallis Productions make your event bloom.! 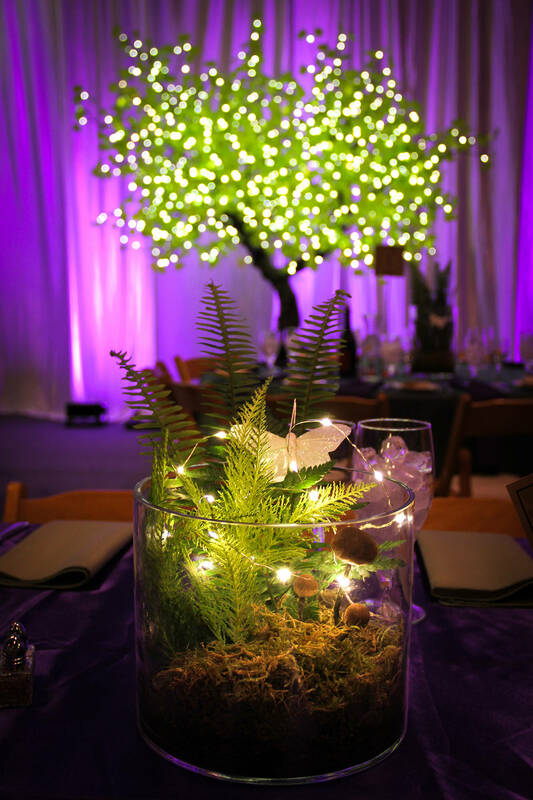 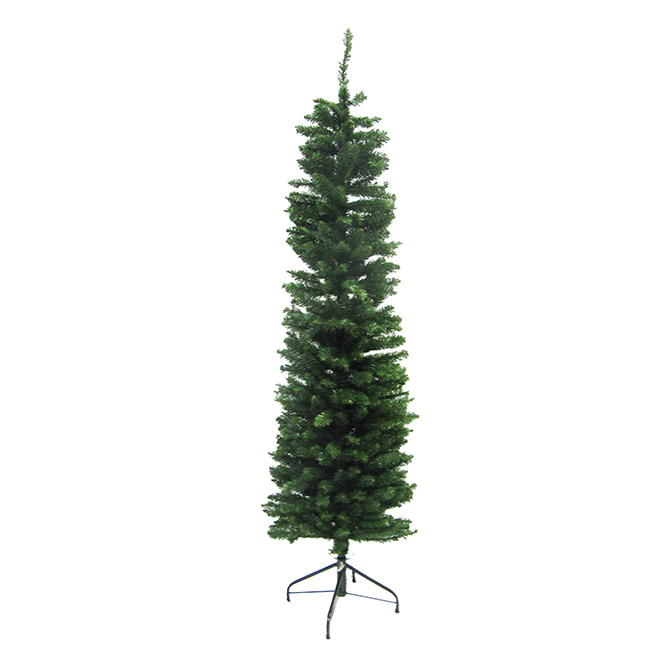 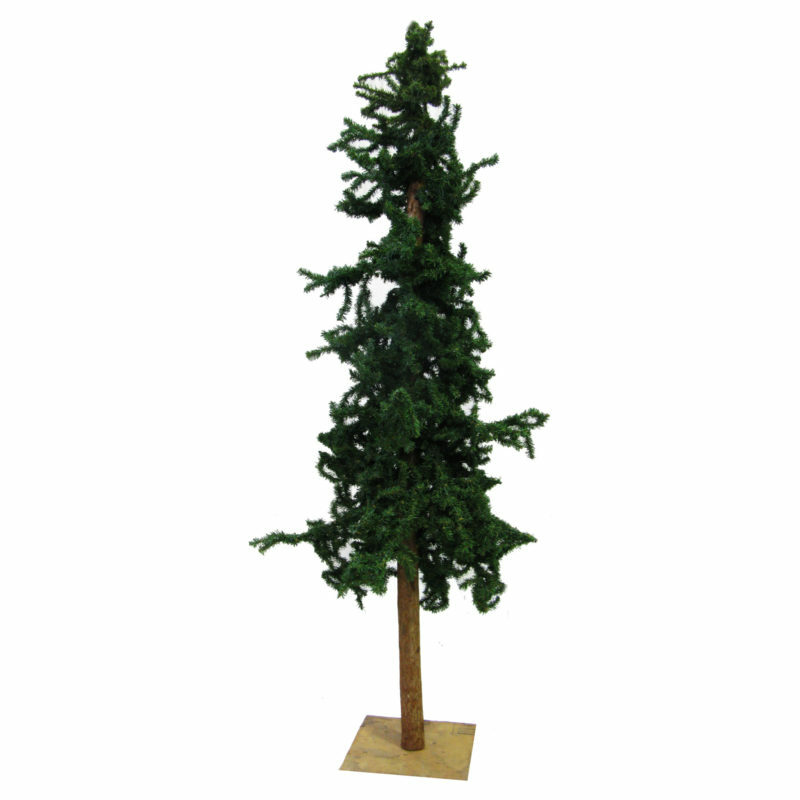 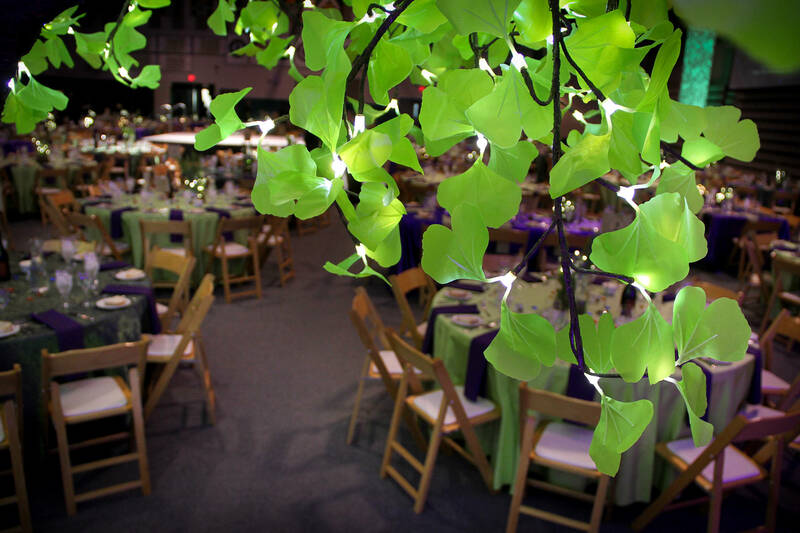 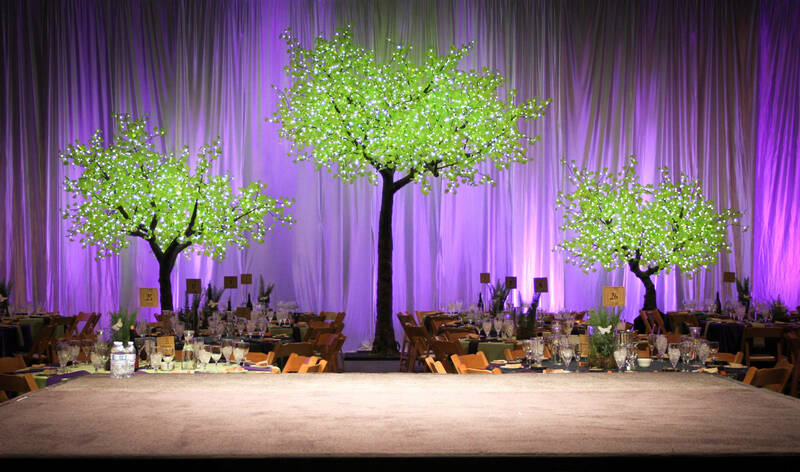 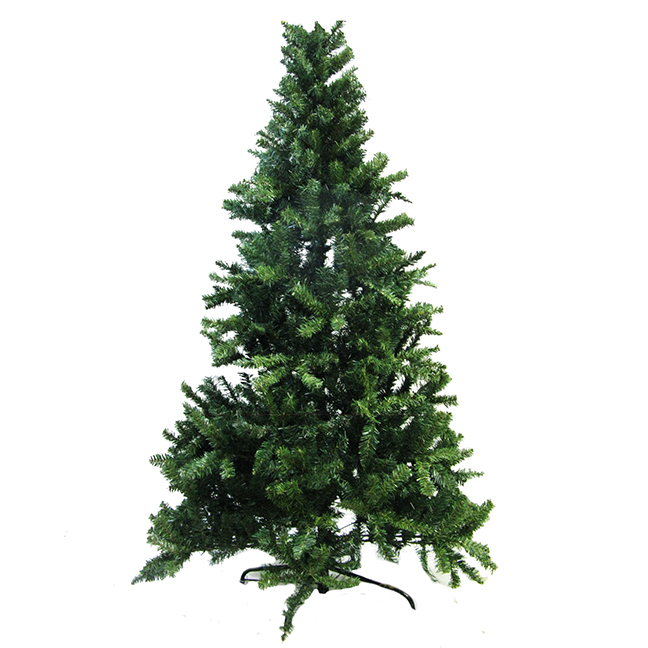 At Peter Corvallis Productions we carry a variety of Northwest inspired trees for any type of occasion! 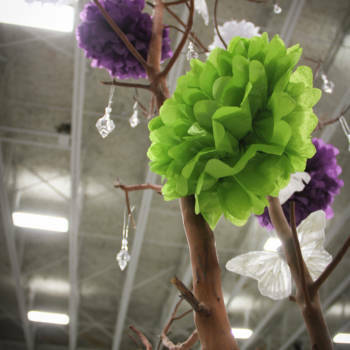 From seasonal decoration to Portland themed parties, these modular based trees are sectional for easy set up and break down. 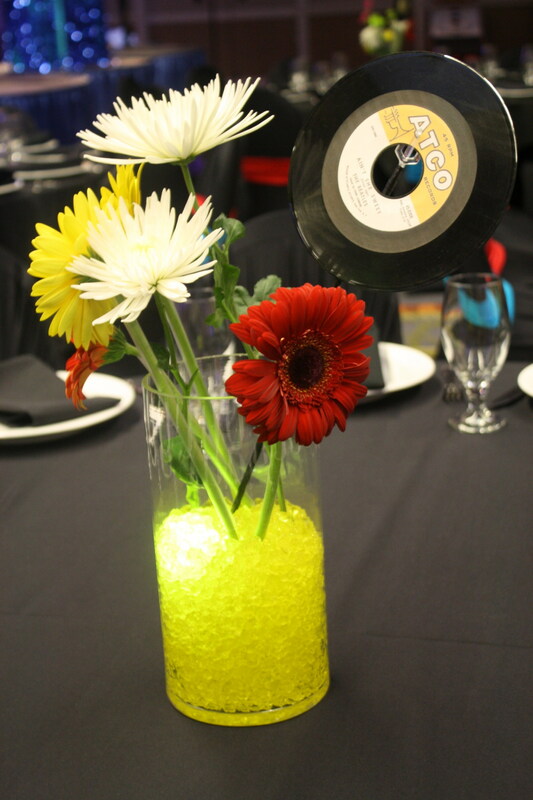 At Peter Corvallis Productions we offer a wide variety of glass vases for your event or party needs! 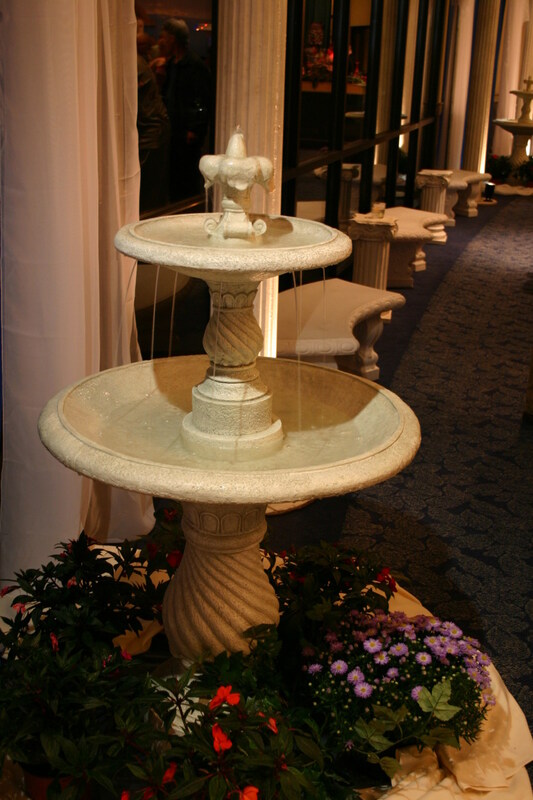 Browse our 40,000 foot showroom and see exactly what we have to offer! 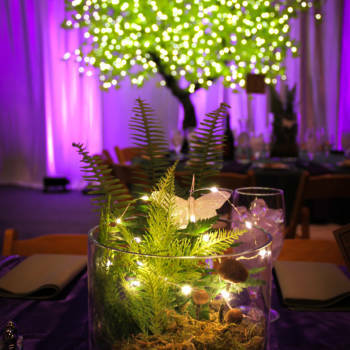 Our event coordinator specialists are happy to help you find the perfect glass vase. 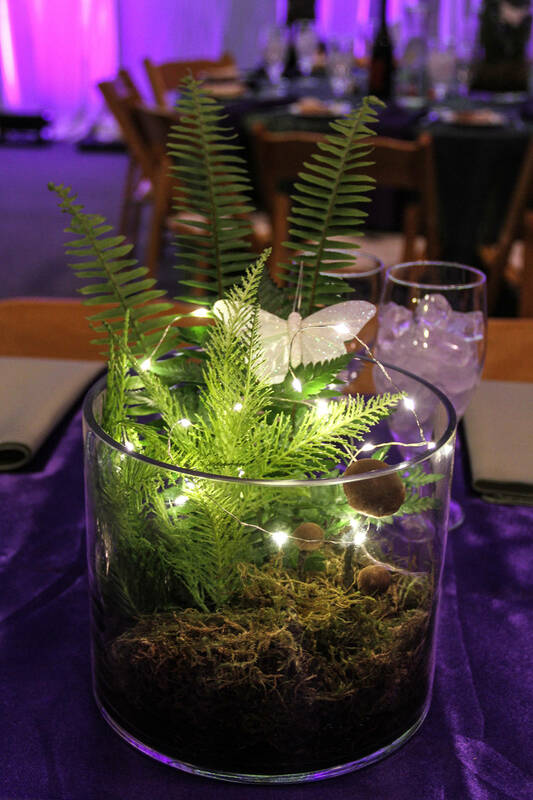 Our vases work wonderfully in displaying flowers but we also specialize in lighting and LED’s! 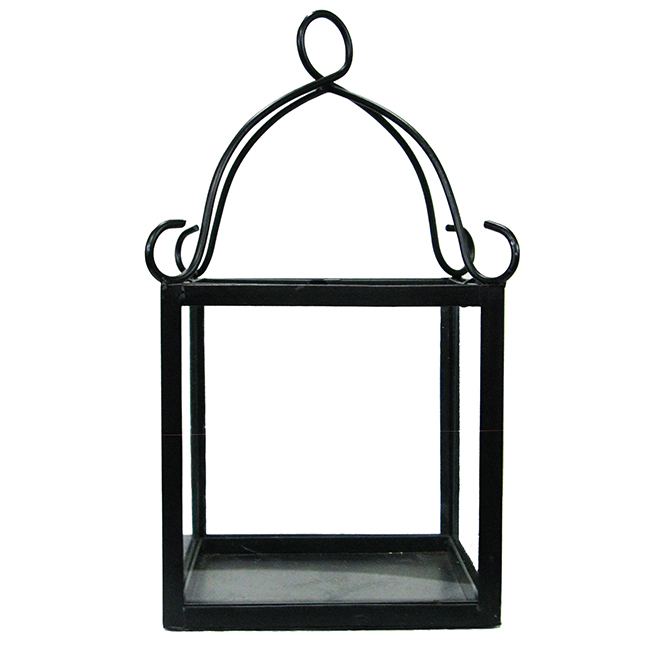 The Black Swirl Lantern is a metal lantern that can hold votive or LED lighting. 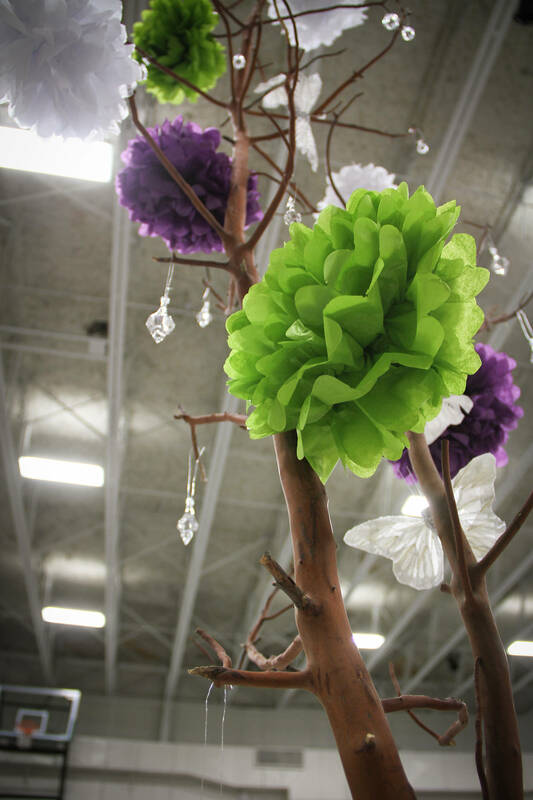 This vase looks beautiful with flower or prop decor from our 40,000 sq warehouse. 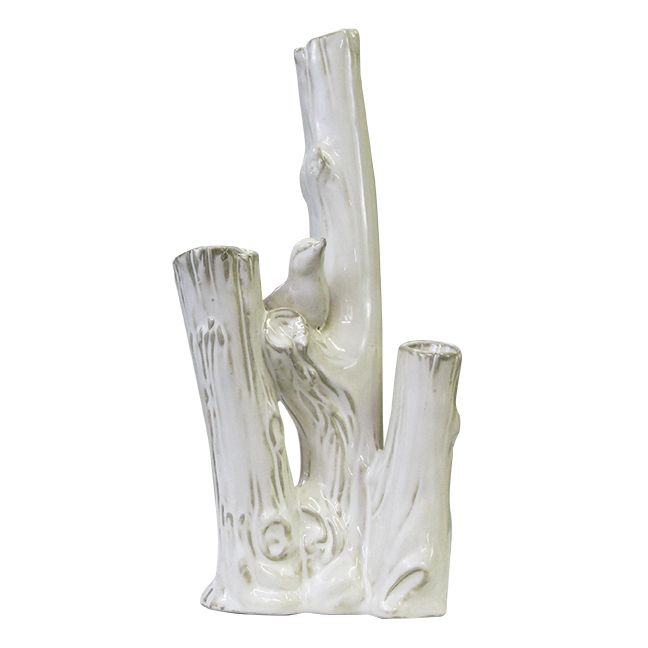 The White Tree Vase is a ceramic vase featuring a tree trunk and bird accent. 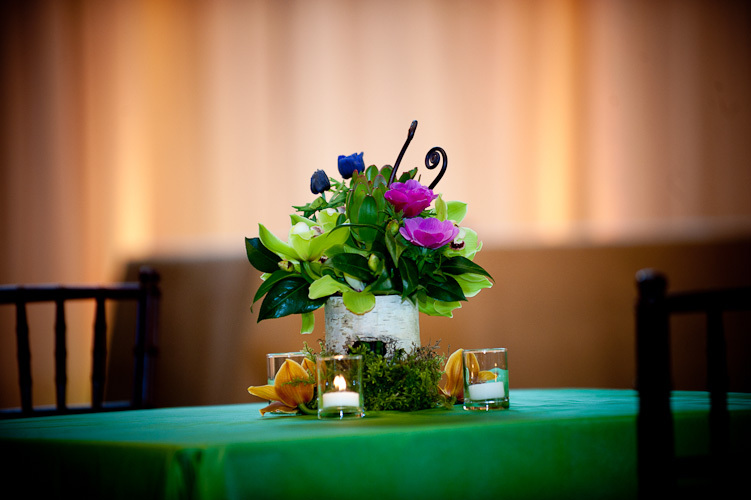 The vase looks beautiful with long stemmed arrangements. 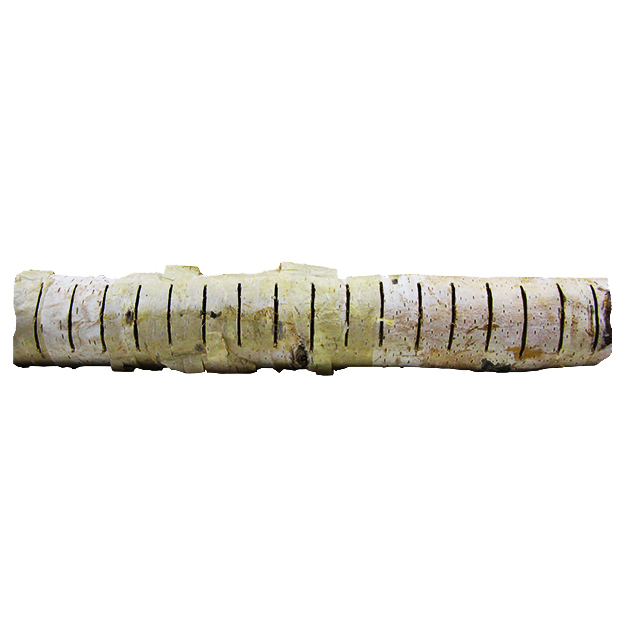 Pair this with our other white wood pieces for a chic design! 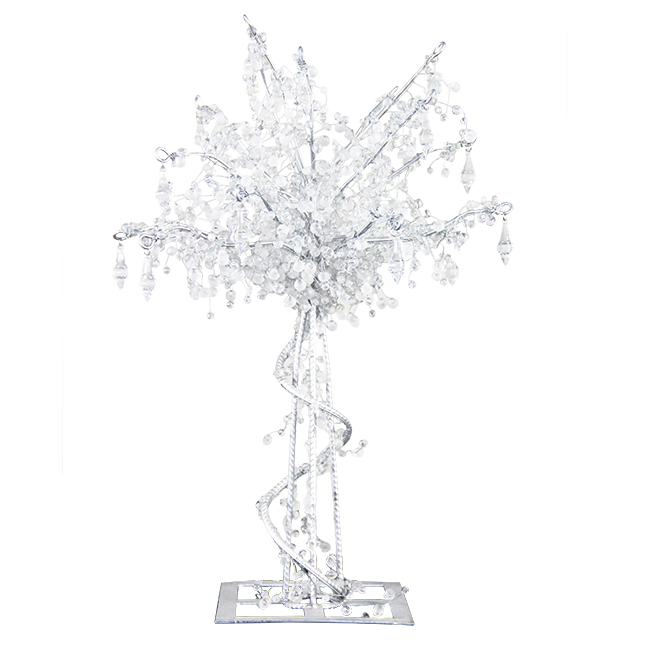 The Crystal Beaded Tree is an elegant, heavy based tree filled with personality! 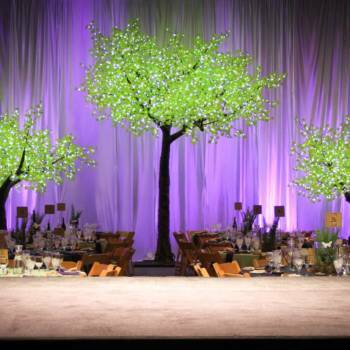 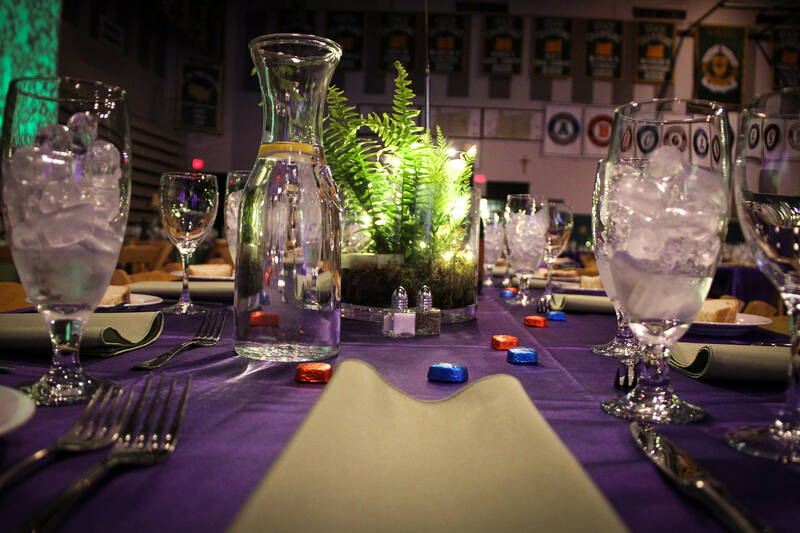 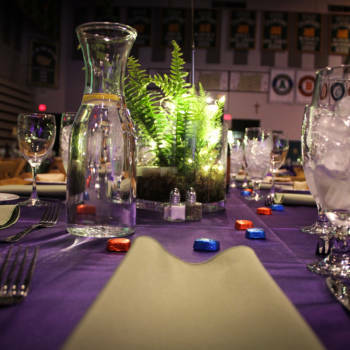 Let our AV department add the finishing lighting touches and watch the crystals glow and cast light around the room. 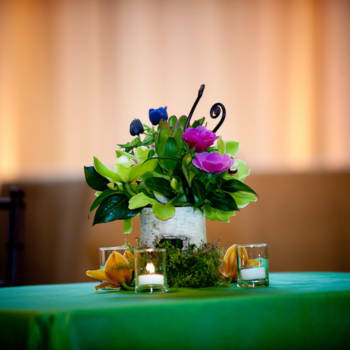 Add elegance and class to your event with our Apple & White Rose Arrangement, Accent. 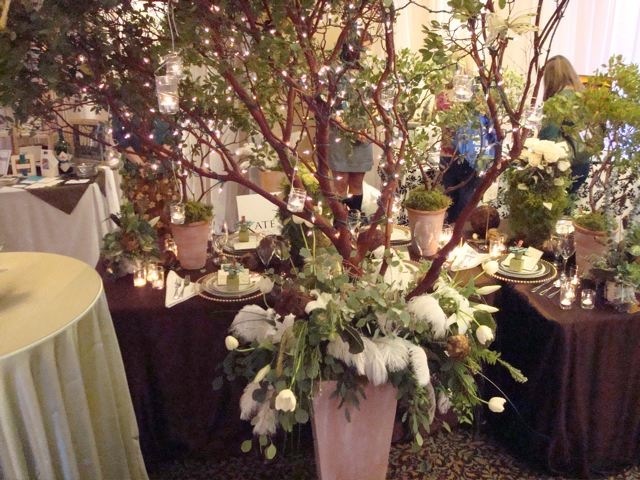 These pre-made arrangements are perfect for wedding table settings and photograph beautifully. 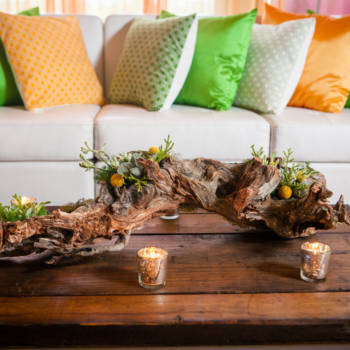 Add that chic rustic charm without any hassle! 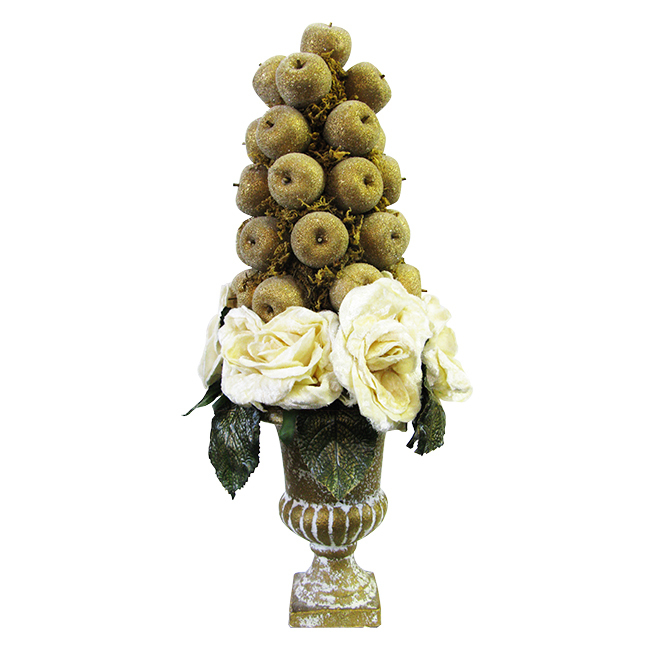 Add elegance and class to your event with our Apple & White Rose Arrangement. 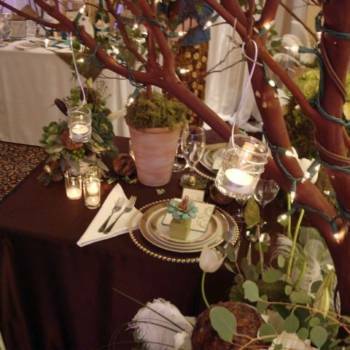 These pre-made arrangements are perfect for wedding table settings and photograph beautifully. 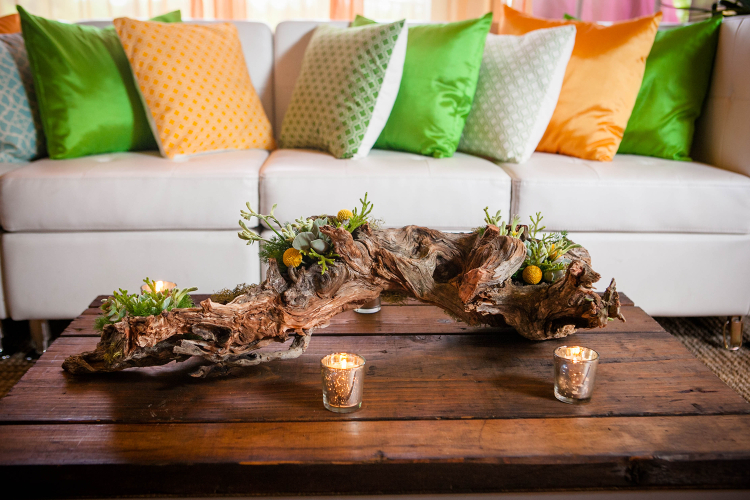 Add that chic rustic charm without any hassle! 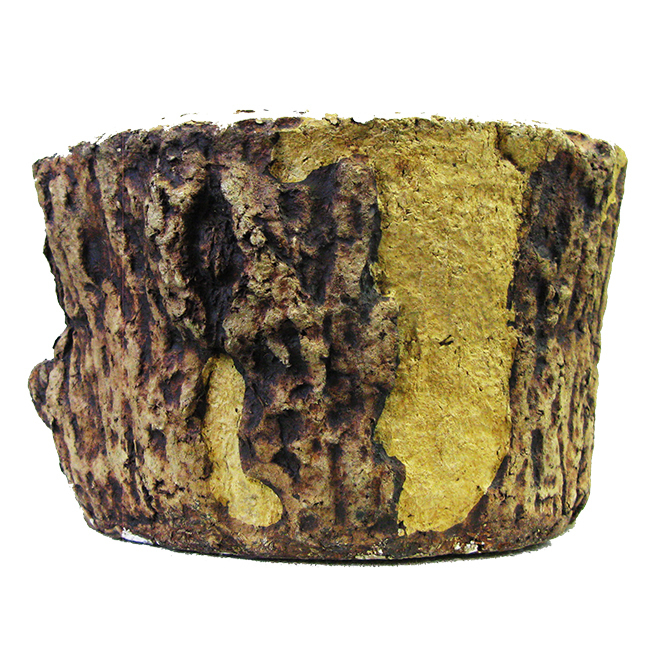 The Wood Stump Vase, Natural is a fun, truly Northwest way to highlight your flower decor! 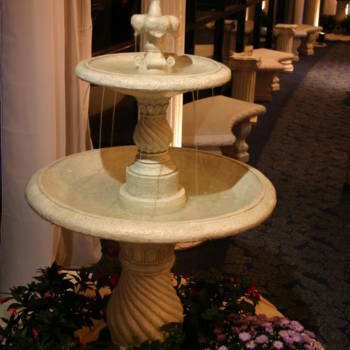 These pieces are made from a highly durable material and then textured to give the appearance of wood – each one is unique! 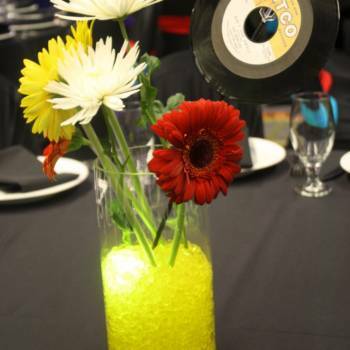 The Black and Gold Transparent Vase, Wide is a chic styled table decor piece you’ll be happy you rented! 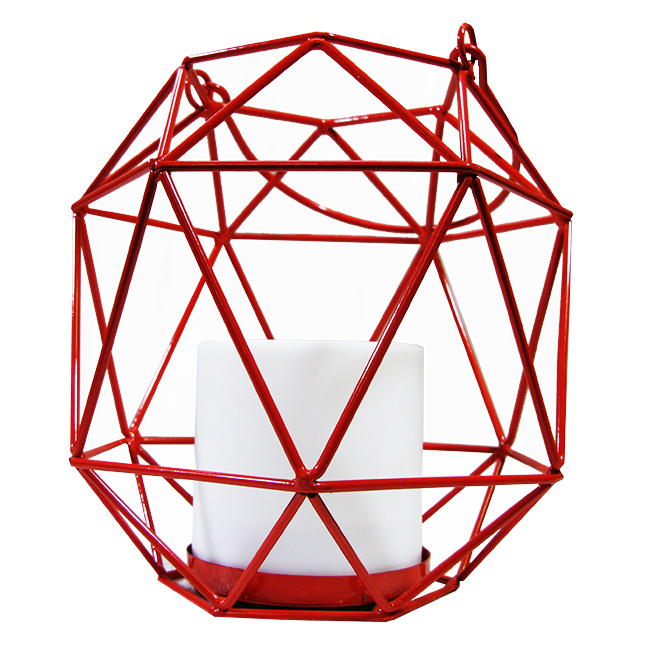 This vase is great for prop decor, floral arrangements and more! 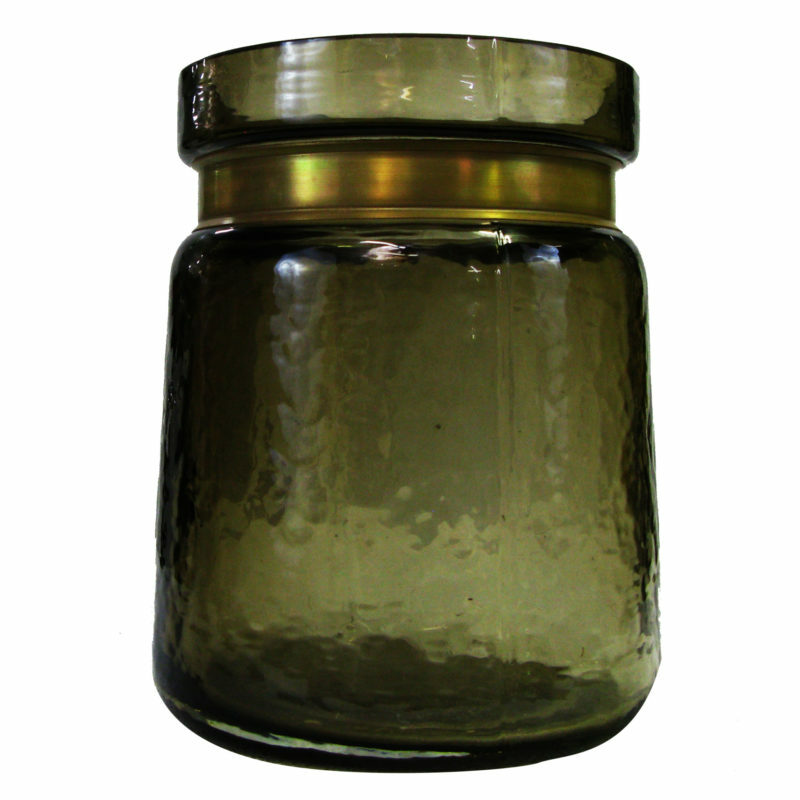 We also offer a complimentary tapered based vase. 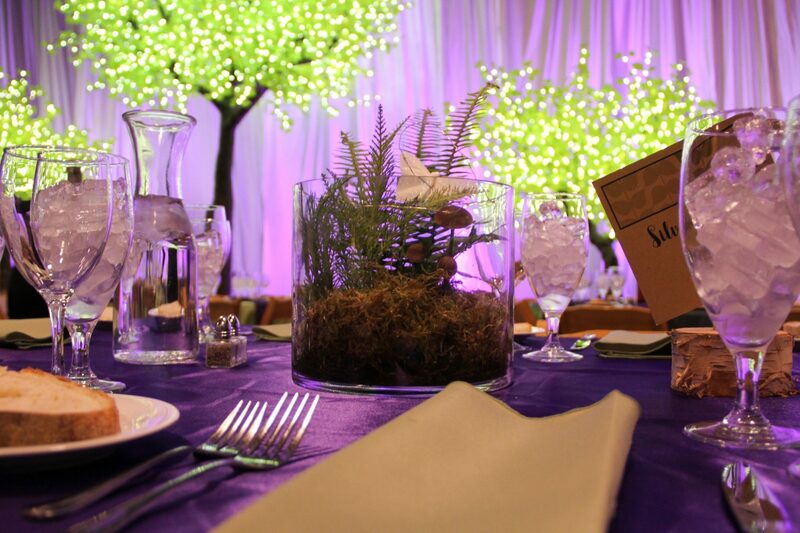 The Wooden Number Card Holder is the perfect way to display cards, well wishes, and more at your event! 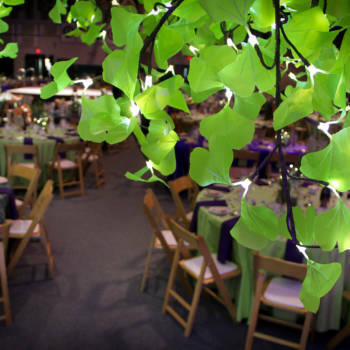 These hanging custom pieces are not only functional but add to your decor for an unforgettable night! 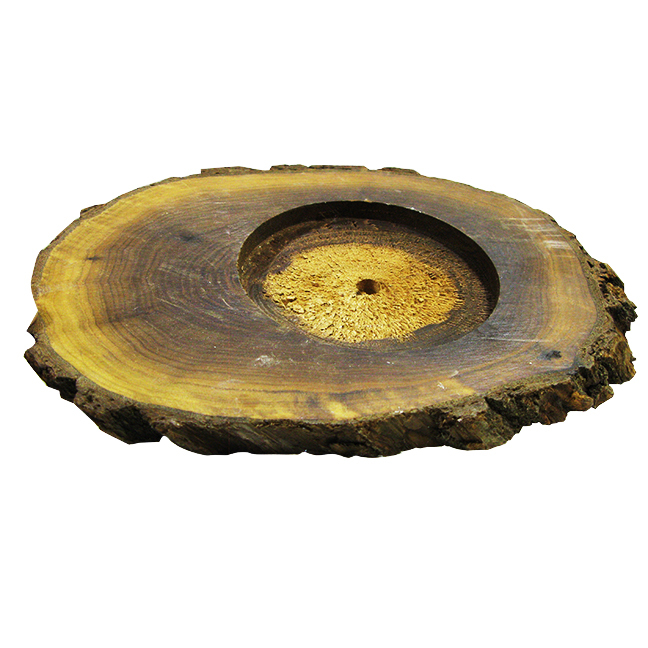 The Flat Wood Accent Piece with Cutout is just waiting for votive candles and lighting decor! 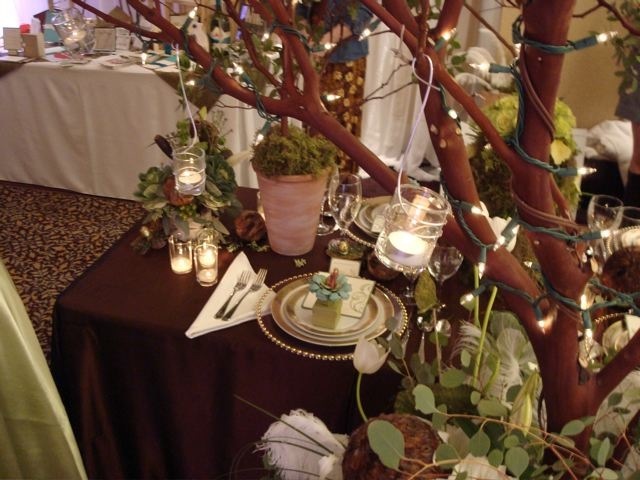 The warm wood centerpiece can hold a votive candle or LED creating a snug fit with a flawless execution. 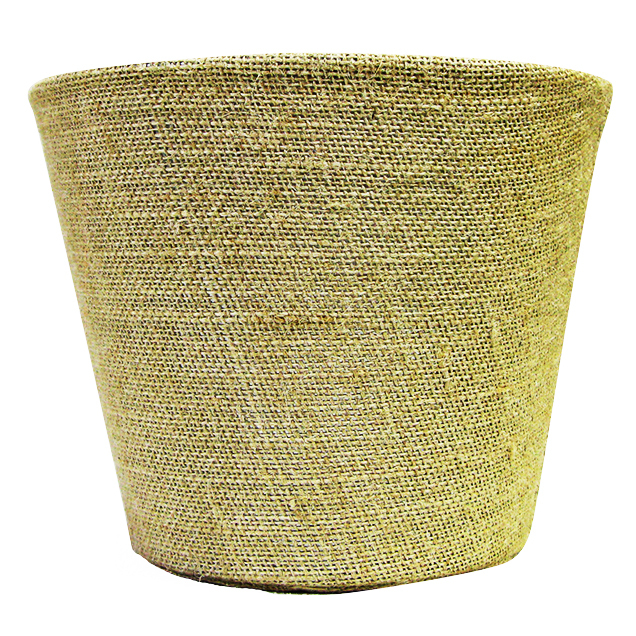 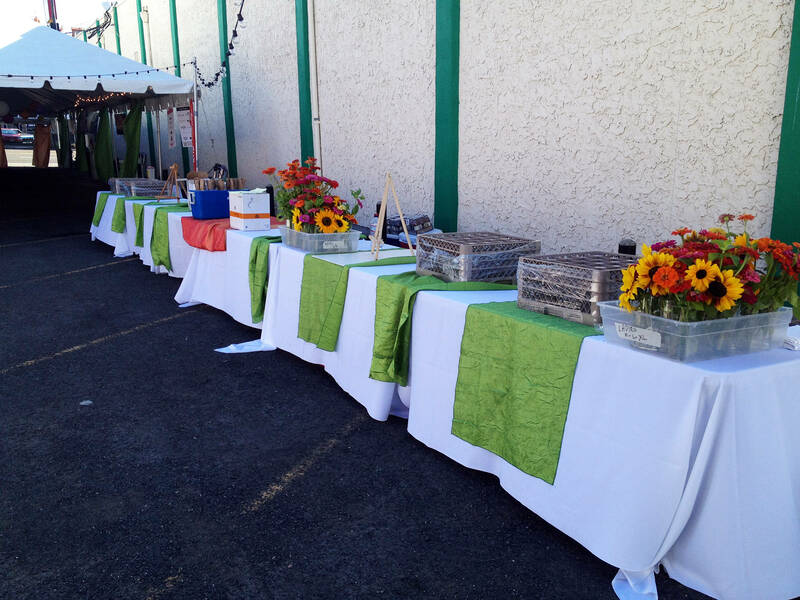 The Burlap Planter is a large scale table decor piece waiting for your next garden party or outdoor patio event! 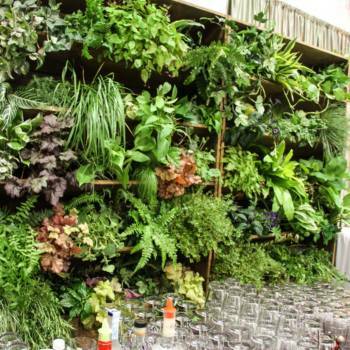 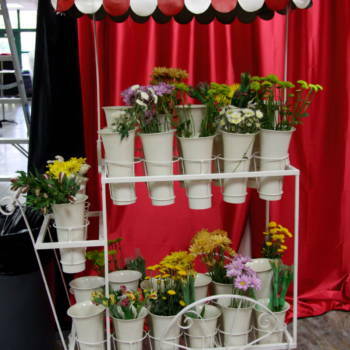 This planter works great with foliage focused decor but is also perfect for westerns, speakeasies and more! 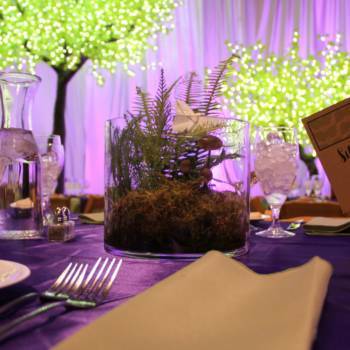 The Purple Teardrop Vase is a classically inspired vase your guests will love. 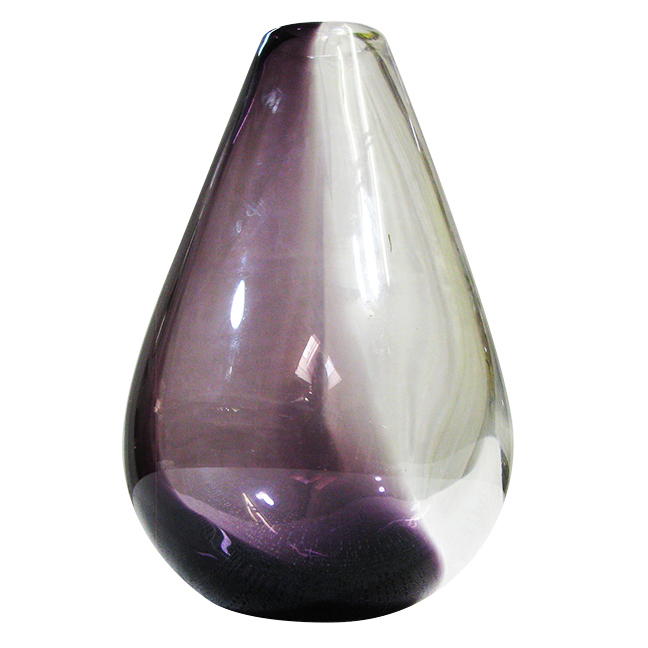 Each vase features a purple fade unique to the piece for a beautifully original design. 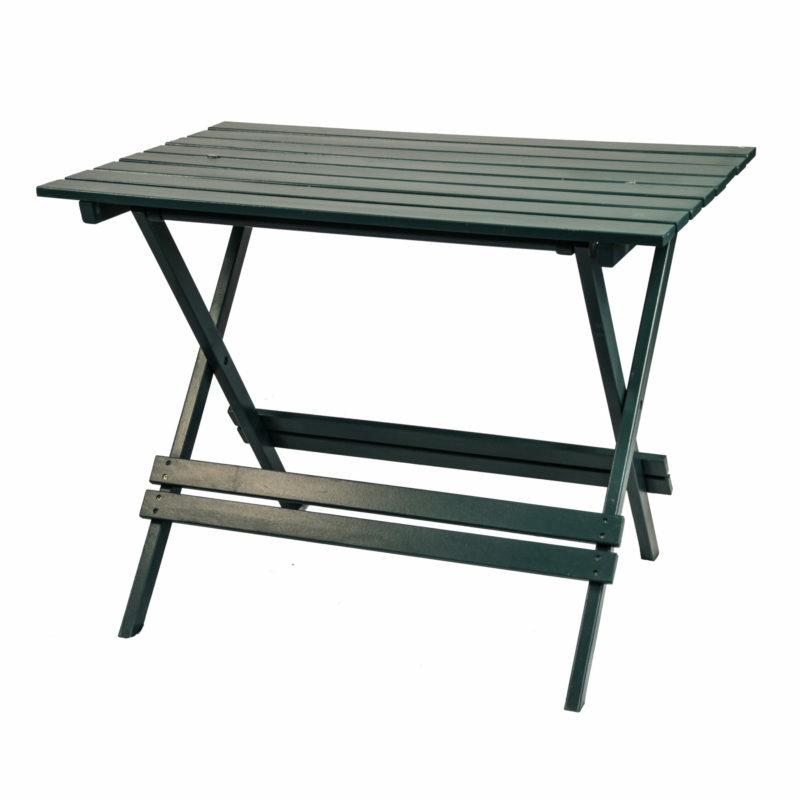 The Green Folding Table is the perfect picnic accessory! 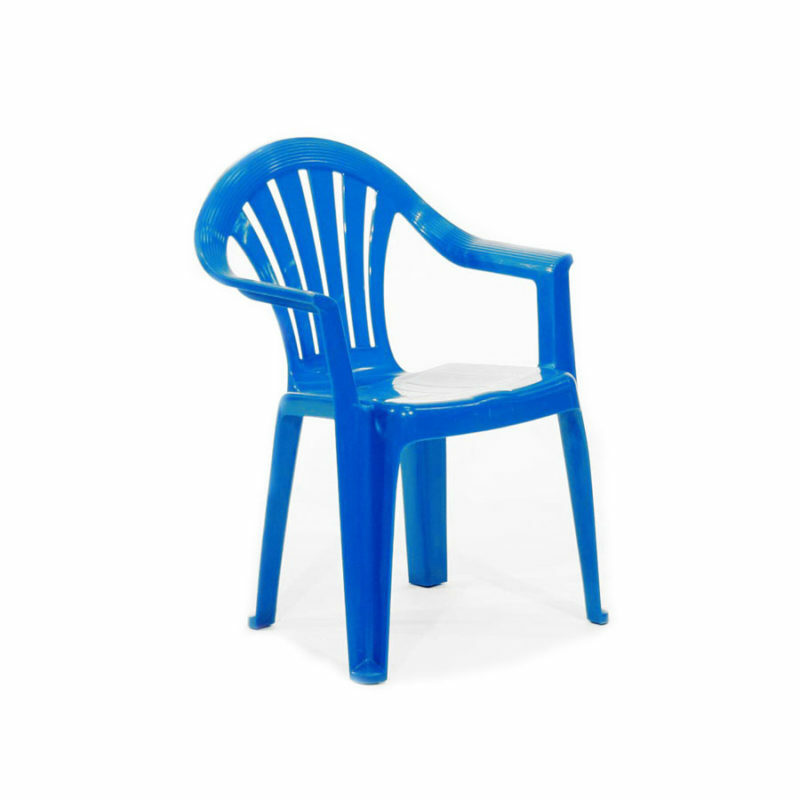 This lightweight yet sturdy table comes in a variety of colors and easily collapses – making setup and teardown a breeze. 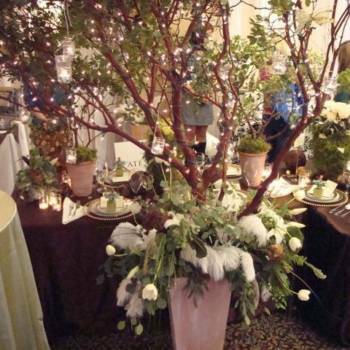 Whether you’re hosting an intimate wedding reception with a homegrown feel, or throwing a company picnic, this table is perfect! 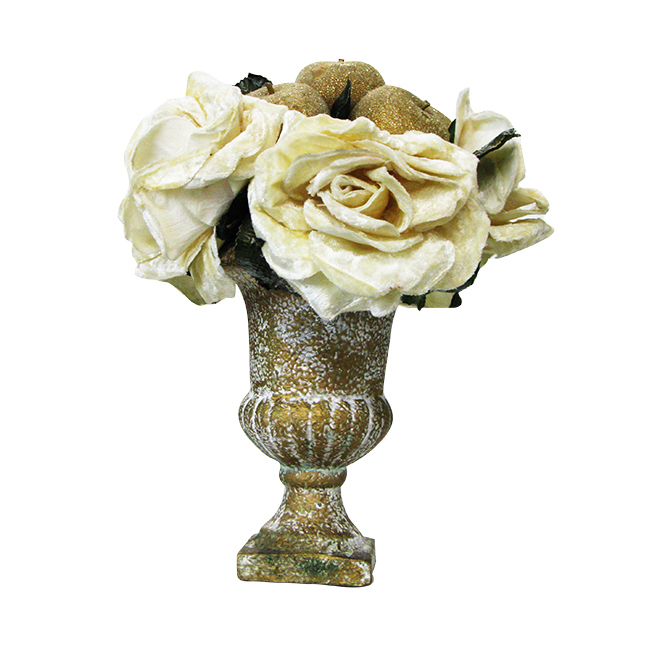 The Ivory Criss Cross Vase is a deep recessed vase with a 3D pattern and vintage ivory color. 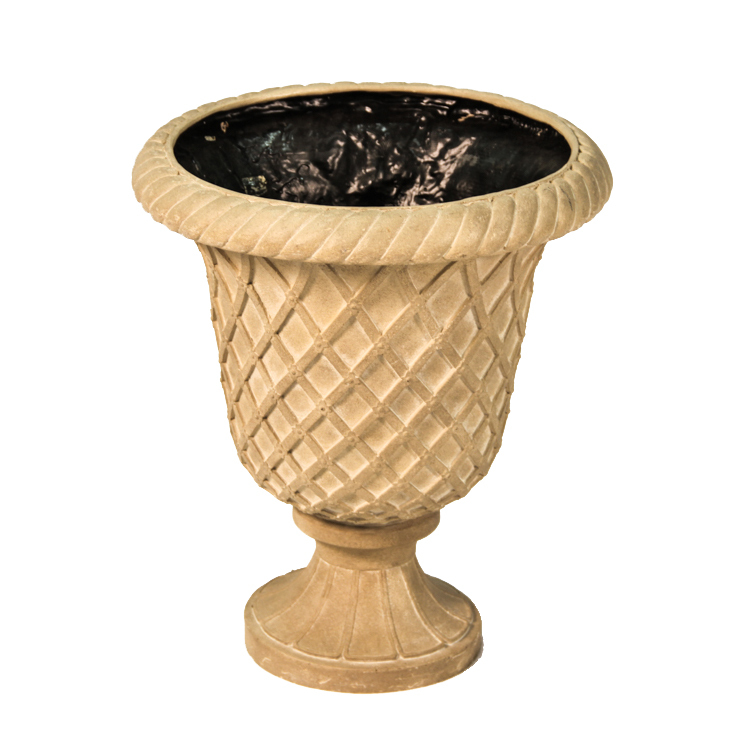 The vase also features a textured exterior and is perfect for large plants or flowers. 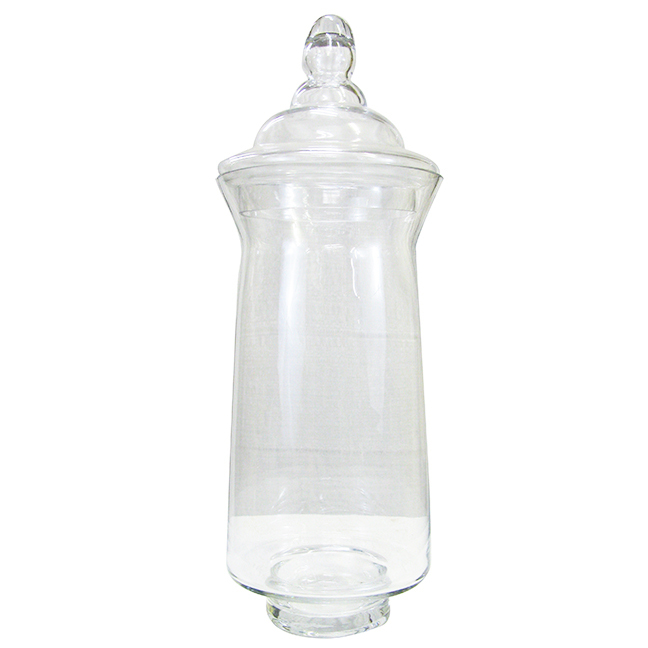 If you’re hosting a European or global themed party, don’t forget the Ivory Criss Cross Vase! 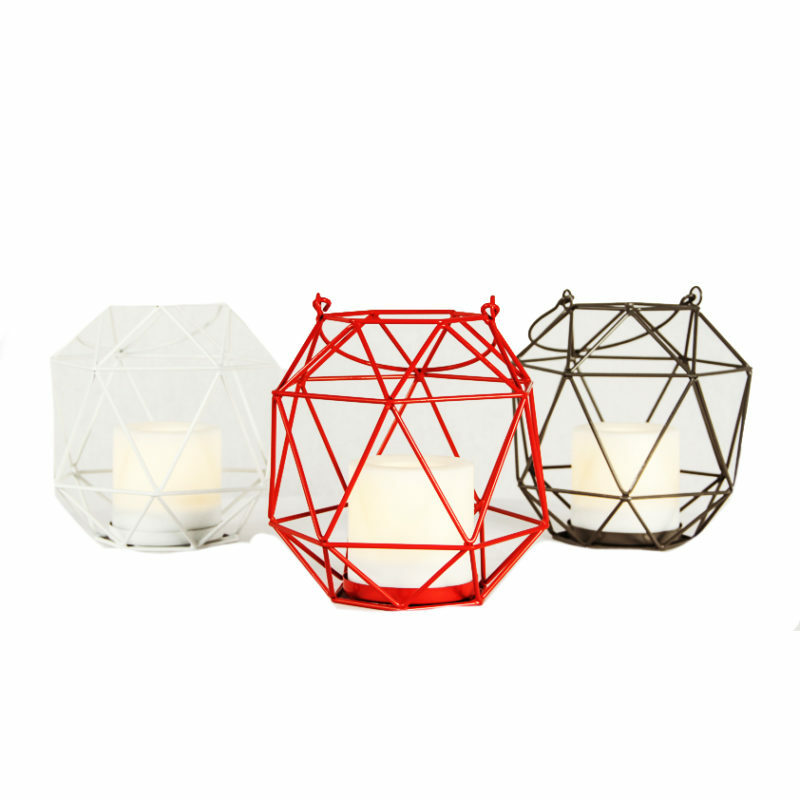 Geometric Lanterns are a great way to showcase lighting at your event! 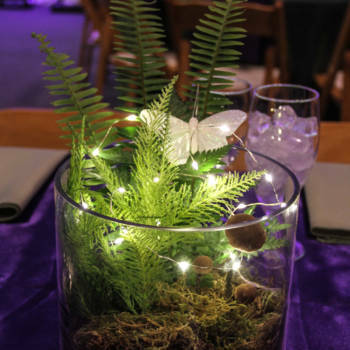 These containers come in a variety of colors and can hold both real candles and our LED votives, allowing you to create a custom lighting display for your guests! 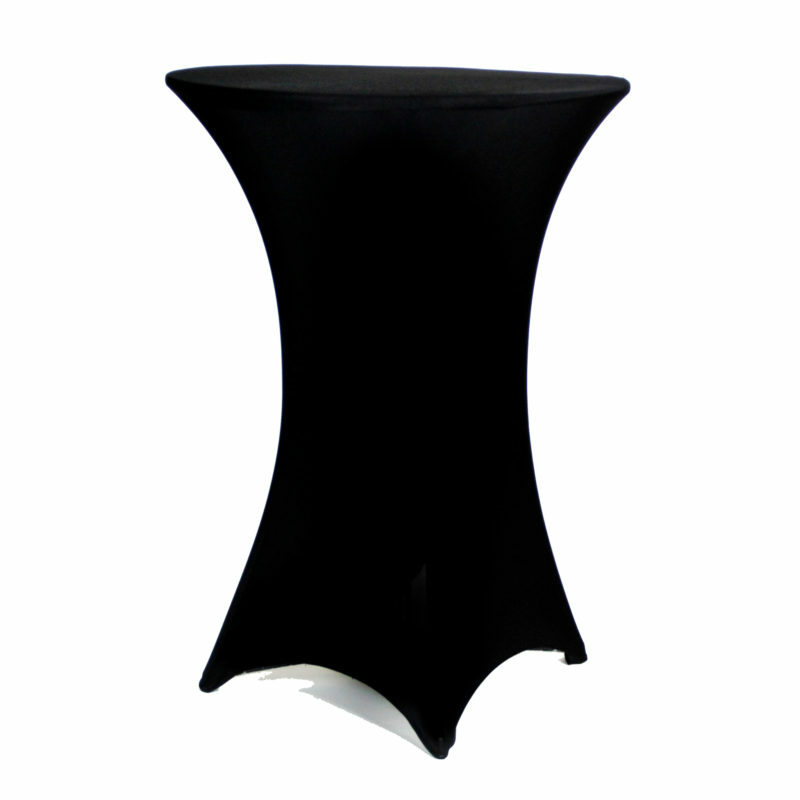 The Spandex Table Cover is the finishing touch your tables need! 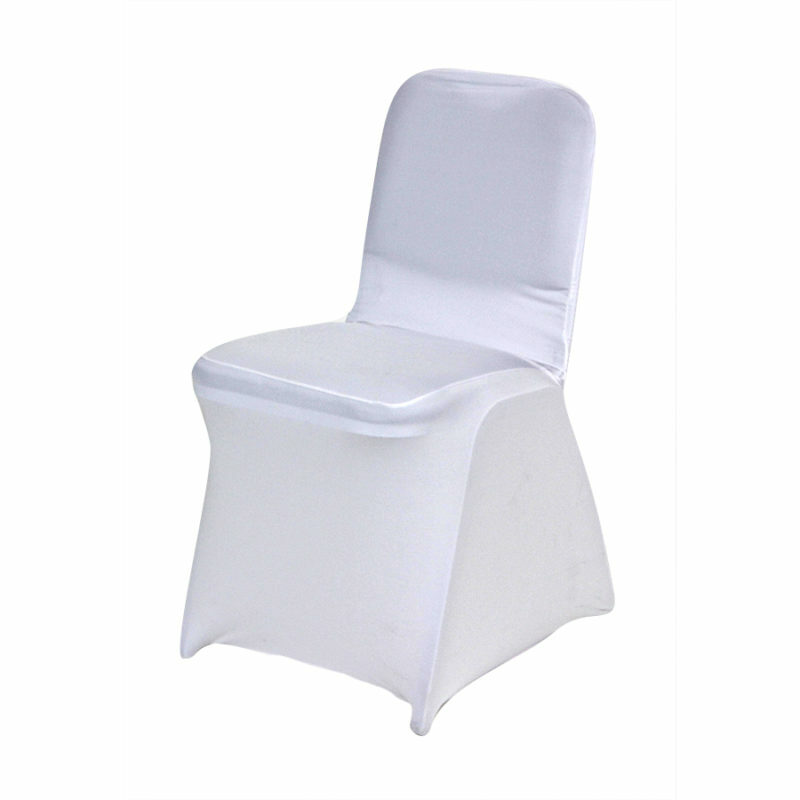 Available for bistro tables and banquet tables, in white and black. 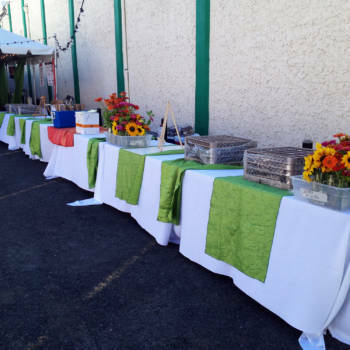 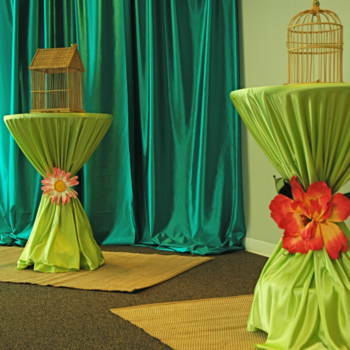 These spandex covers look beautiful in fundraising galas and high end events. 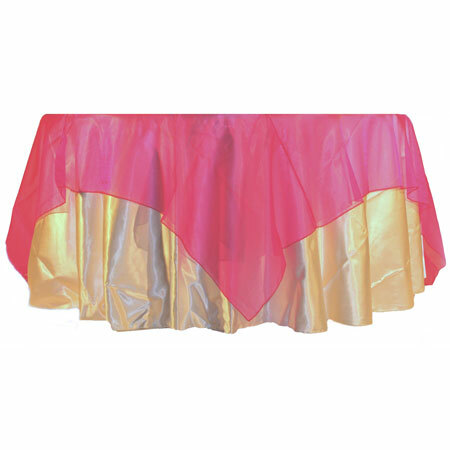 Colored spandex toppers are also available as well as LED cocktail table lights to add a dynamic feature to the setting. 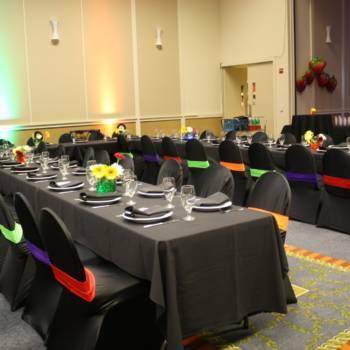 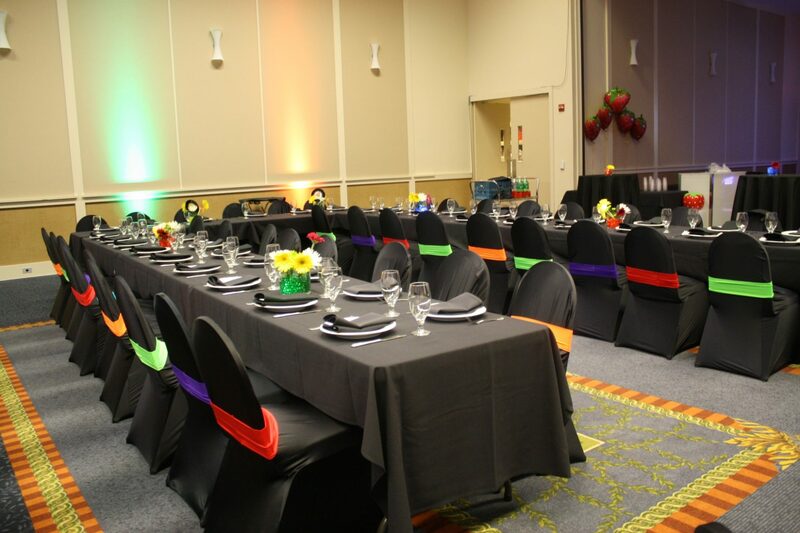 The Spandex Chair Cover is great way to decorate your next fundraiser or gala. 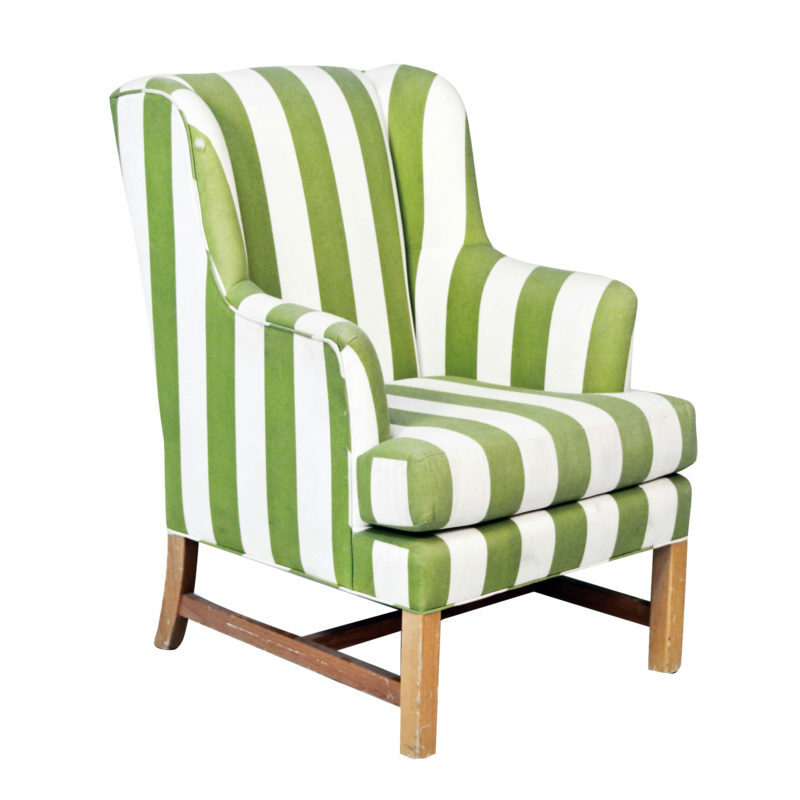 Instantly transform any chair into a sleek, sophisticated look! 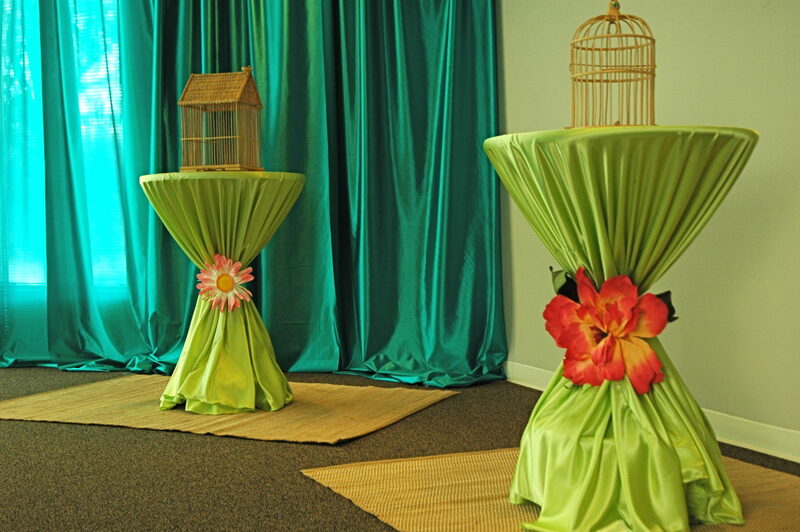 Pair our covers with your theme decor for a truly magical night. 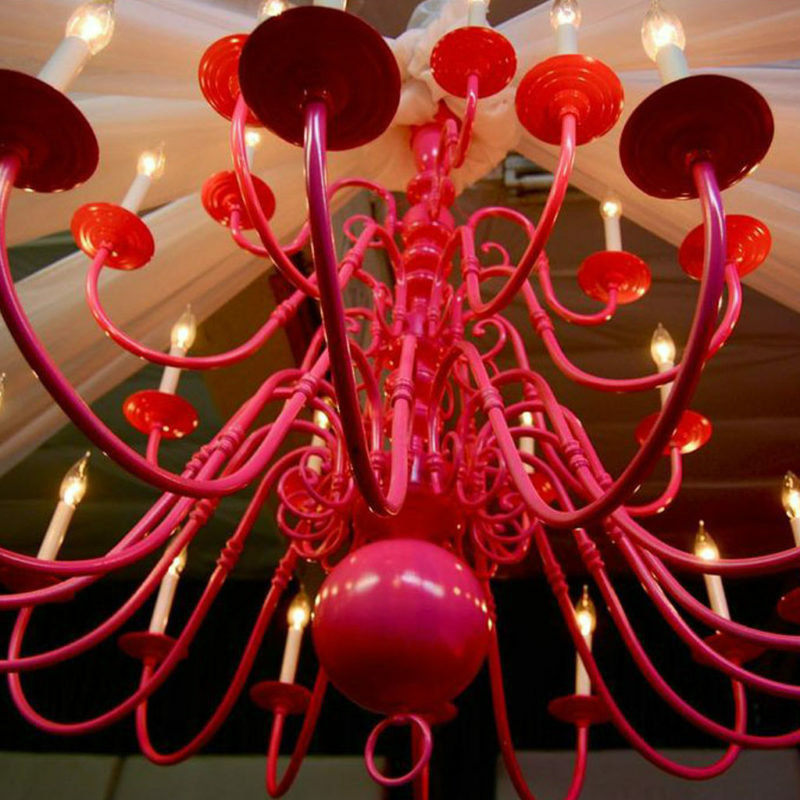 The Pink Chandelier is a beautiful, hanging chandelier perfect for high ceilings. 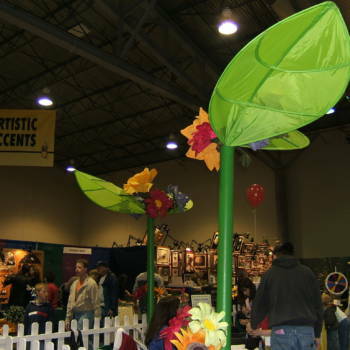 The sweeping arms create a large, funky design perfect for birthday parties and children’s events. 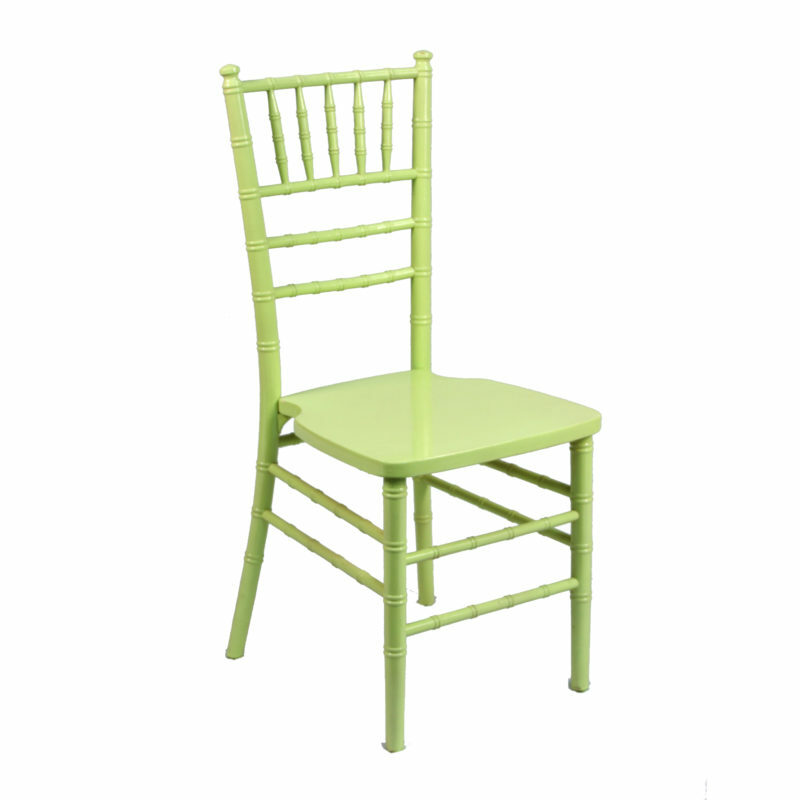 The Children’s Bistro Stacking Chair is a great mini version of the adult’s bistro chair. 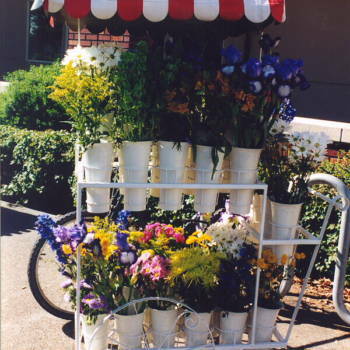 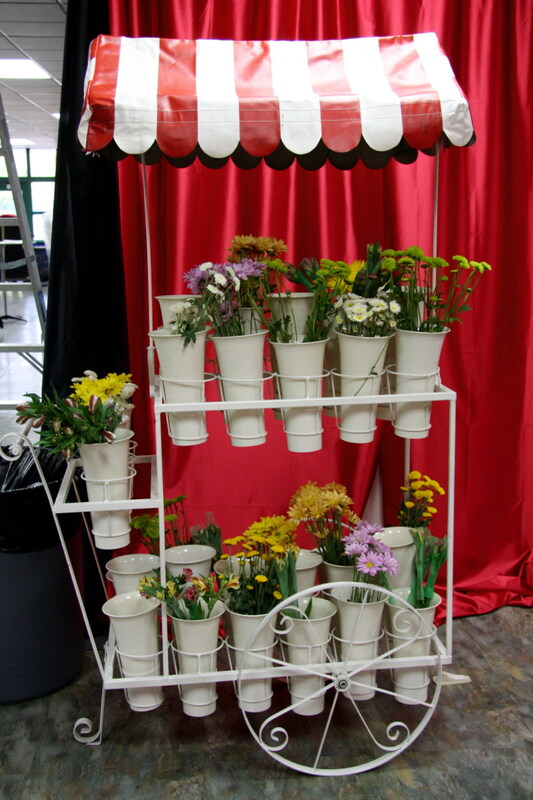 Made from one piece of plastic the design is perfect for lawn and garden parties and can be stacked at any time. 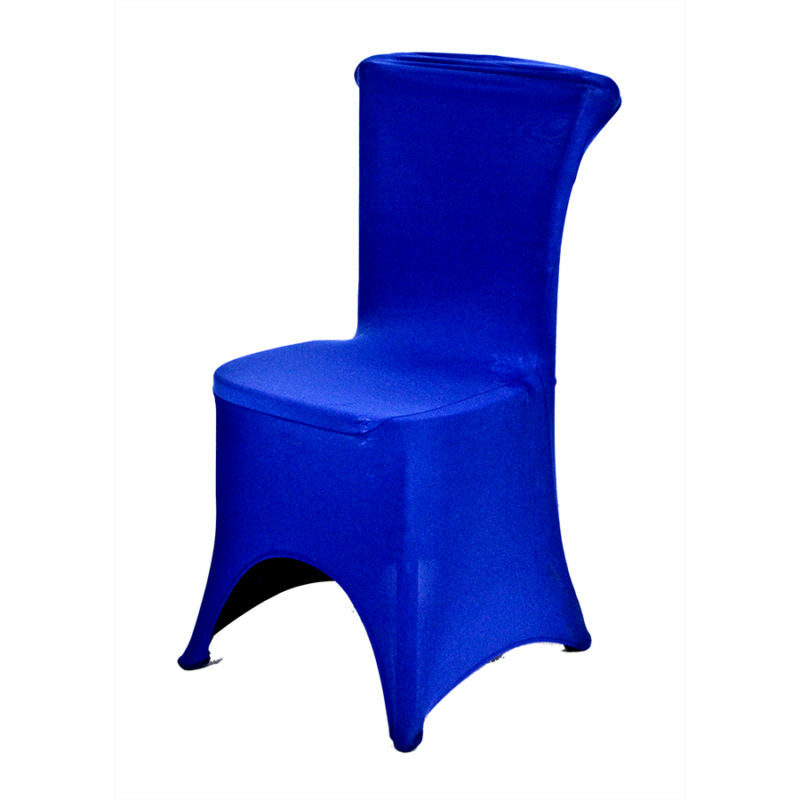 The chairs also come in a variety of colors, perfect for mixing and matching. 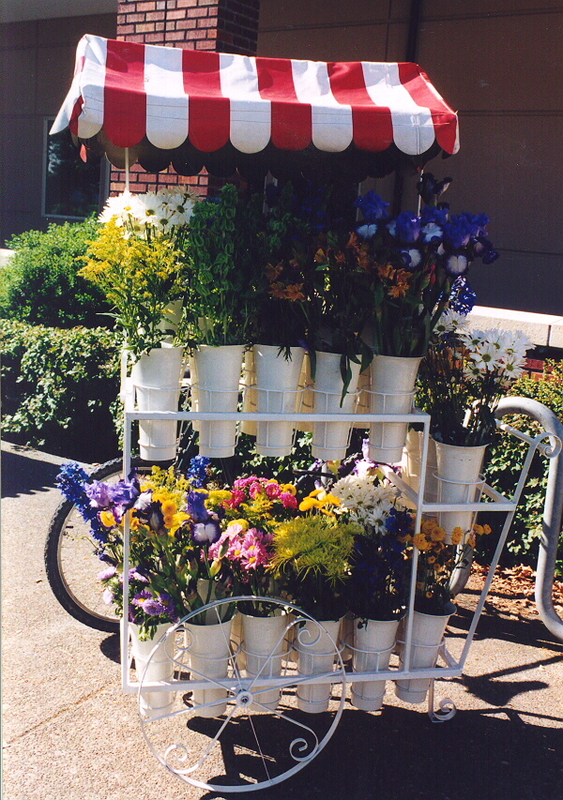 Colors include white, blue, green, red, and yellow.